KEALAKEKUA, Hawaiʻi - The Amy B.H. Greenwell Ethnobotanical Garden was the number 2 priority for the Public Access, open Space, and Natural Resources Preservation Commission in 2018. Image shows the Amy B.H. Greenwell Gardens parcels, courtesy the 2018 PONC Report To The Mayor. (BIVN) – Public Access, Open Space and Natural Resources Preservation Commissioners recently got an update on the status of the Amy B.H. Greenwell Ethnobotanical Garden in South Kona, which was identified by the commission as the number 2 priority for acquisition in its 2018 Report to the Mayor. The garden, located on the Kealakekua ahupaʻa, was bequeathed to Bishop Museum in 1974 as as an “educational and cultural resource” upon the death of owner Amy Greenwell, a well known botanist and archaeologist. 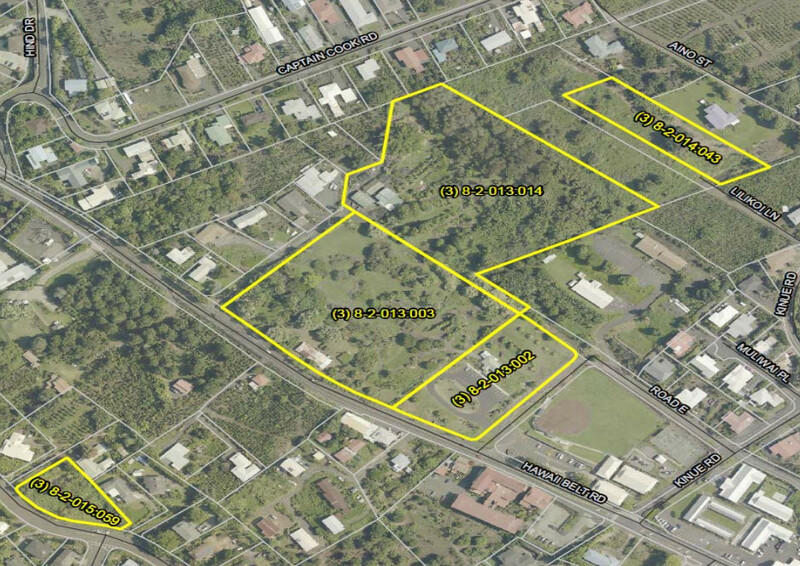 In early 2016, Bishop Museum announced its plan to sell the 15-acre property in order to refocus on and improve its Oʻahu campus.